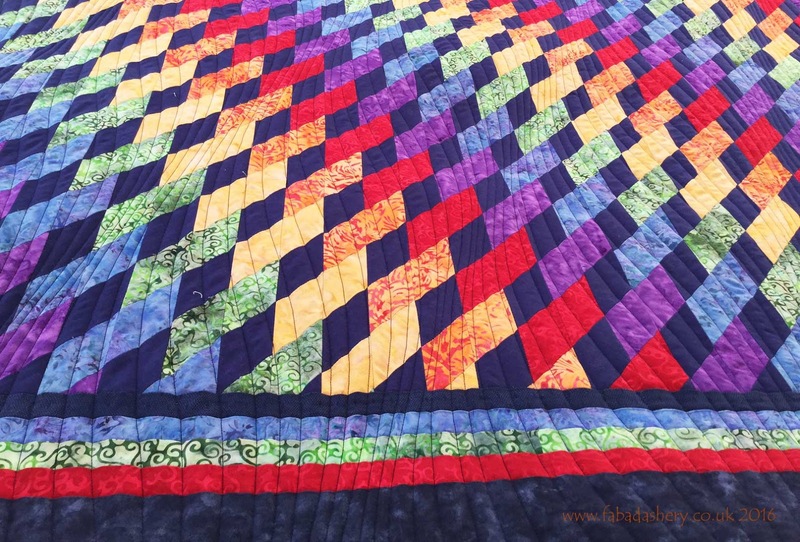 Yes, customers really do bring me quilts this gorgeous to quilt. 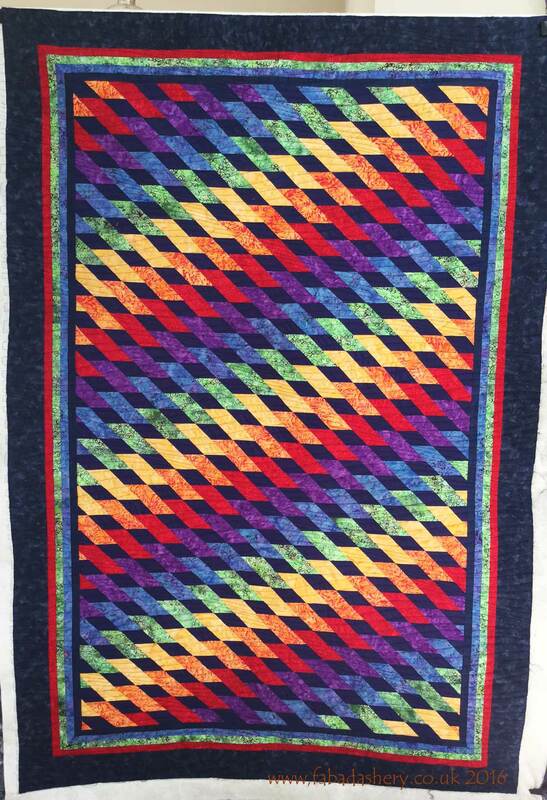 This "Rainbow"quilt is a pattern from the book "Totally Tubular Quilts" by Rita Hutchens and was made by Rosemary. 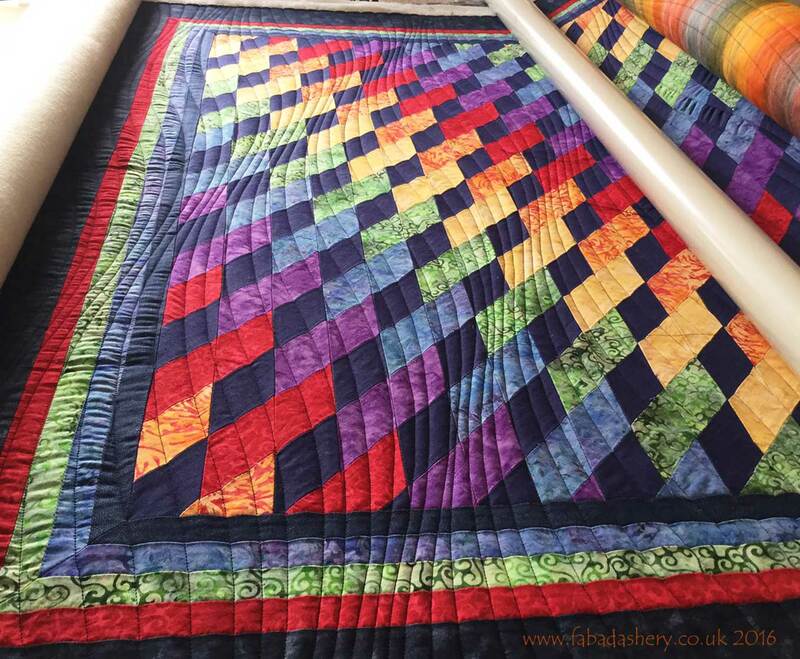 I can totally understand why Rosemary was drawn to this pattern, it is so colourful, but when it comes to quilting it where do you start? The colourful design was so striking that it was important not to detract from it, so we used a digital pantograph "Modern Wave" by Anita Shackleford, which added a continuous dynamic wave across the whole quilt and used an Isacord 3355 navy thread for the stitching. 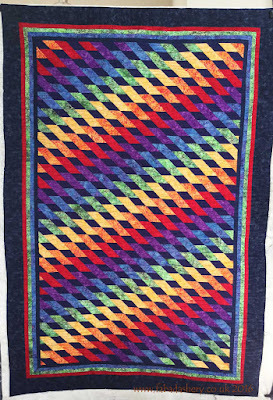 It's great to have a job where you have to work with such colourful quilts. I will be at the Busy Bees Patchwork Programme Launch tomorrow, 23rd July 2016, 10am - 2pm held at Duffryn Community Centre, Newport, NP10 8SB, near the Busy Bees Patchwork shop and National Trust property, Tredegar House. I will have some quilted samples for you to see and I will have my diary with me if you would like to book a drop off time for your quilt in the forthcoming weeks.